Failed back surgery syndrome (FBSS), also known as failed back syndrome (FBS), refers to a condition of continued pain after back or spinal surgery. The success rate of spinal surgery can be quite high; however, in some cases even the best efforts may not result in the relief of back pain. FBSS does not necessarily signify a problem caused by spinal surgery. Failed back surgery syndrome can be treated with oral non-steroidal anti-inflammatory drugs (NSAID) or pain medicine injections and nerve blocks to relief the pain. Radiofrequency neurotomy, which is the application of heat to temporarily block the sensation of pain, is another approach to treat FBSS. In addition, transcutaneous electrical nerve stimulation (TENS) can be performed to reduce pain with the help of electrical currents. Other medications for FBSS include membrane stabilizers, antidepressants, spinal cord stimulation and intrathecal morphine pump. Physical therapy can also help strengthen the back muscles and improve movement. 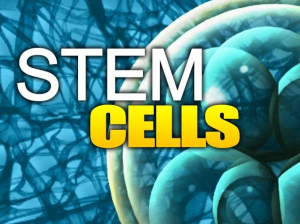 Donor derived stem cells, such as amniotic derived stem cells, can be obtained from FDA-approved tissue banks. There is also the potential for bone marrow derived or adipose derived stem cells along with platelet rich plasma therapy. TO DETERMINE IF YOU QUALIFY FOR STEM CELL THERAPY FOR FAILED BACK SURGERY SYNDROME, CONTACT US R3 STEM CELL CLINICS FOR AN EVALUATION AT (844) GET STEM. DEPENDING UPON YOUR INDICATIONS, AGE AND ASSOCIATED FACTORS, WE CAN SUGGEST THE BEST AVAILABLE TREATMENT PLAN.